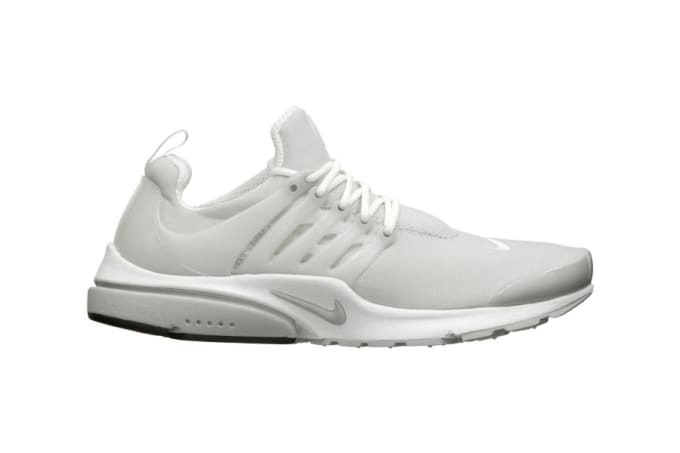 Kicks of the Day: Nike Air Presto "Light Zen Grey/White"
Nike Sportswear re-ups its lightweight runner, the Air Presto, just in time for those gruesome work-outs, all in preparation for your summer tone-up. It&apos;s been a while since the silhouette warranted a decent amount of burn, but we have a feeling a resurgence is around the corner. The "Light Zen Grey/White" go accounts for one of the cleanest colorways amongst the summer-drop as the name of the game still remains — cushioning, comfort, and breathability. Do your dogs a favor and hit up Nike Sportswear to cop for $90.